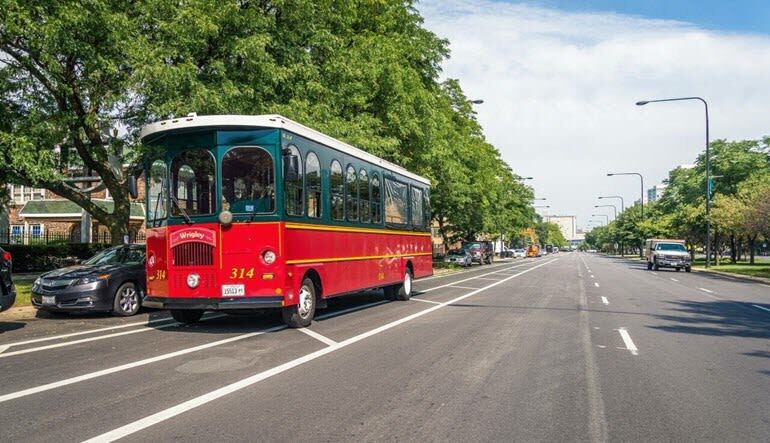 This Chicago trolley tour boasts all the big scenery you crave. Get 48-hour access and travel 13 photo-friendly stops. 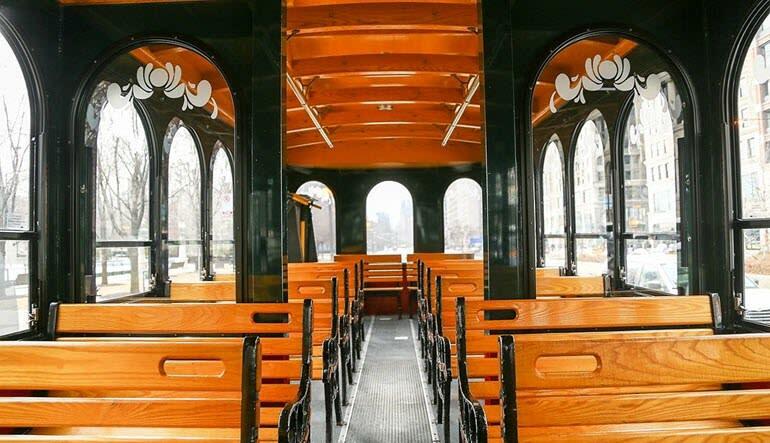 This Chicago trolley tour boasts all the big scenery you crave. Get 48-hour access and travel 12 photo-friendly stops. 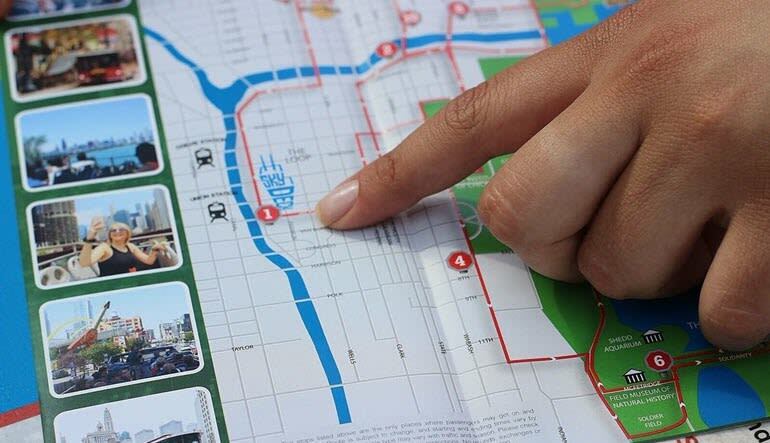 Explore the streets of the Windy City in comfort with an expert guide leading the way. Enjoy the sights and sounds while learning all about the rich history and environment of America's Second City. And if you see a sight you just have to see up close, you can hop off the trolley at the closest stop and adventure out on your own! When you've had your fill of hands on fun, you can jump right back on the trolley and be whisked away to the next exciting landmark. ¿Hablas español? Spanish-language tours are also available! See the Skydeck and Michigan Avenue Bridge. Kick back at Navy Pier. Enjoy some retail therapy at the Magnificent Mile. Big adventure awaits—hop on and discover Chicago now! Children 4 and under ride free!